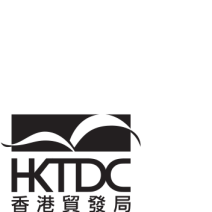 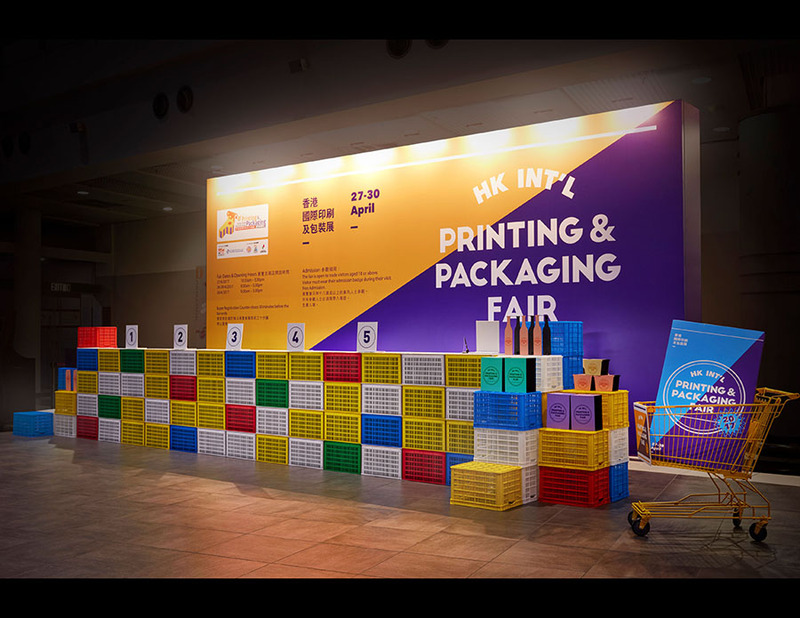 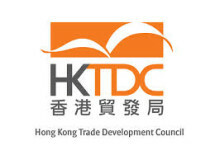 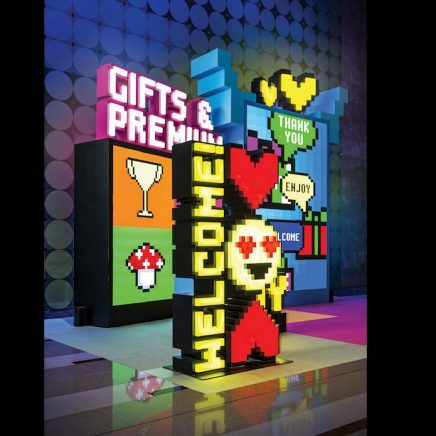 The Hong Kong International Printing & Packaging Fair organised by the Hong Kong Trade Development Council is a 4 day event held annually at the Asia World Expo. 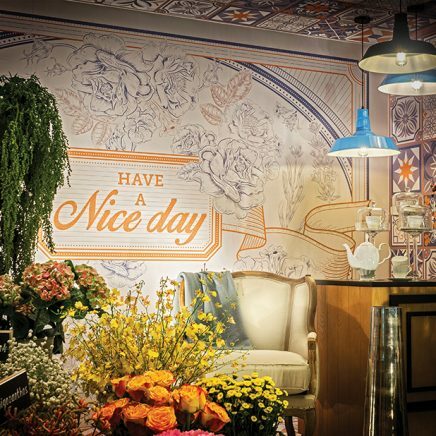 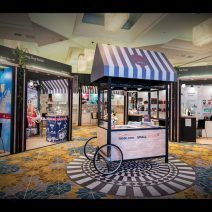 A cost effective solution to upgrade the organiser’s overall decorative setting at the 2017 show was required. 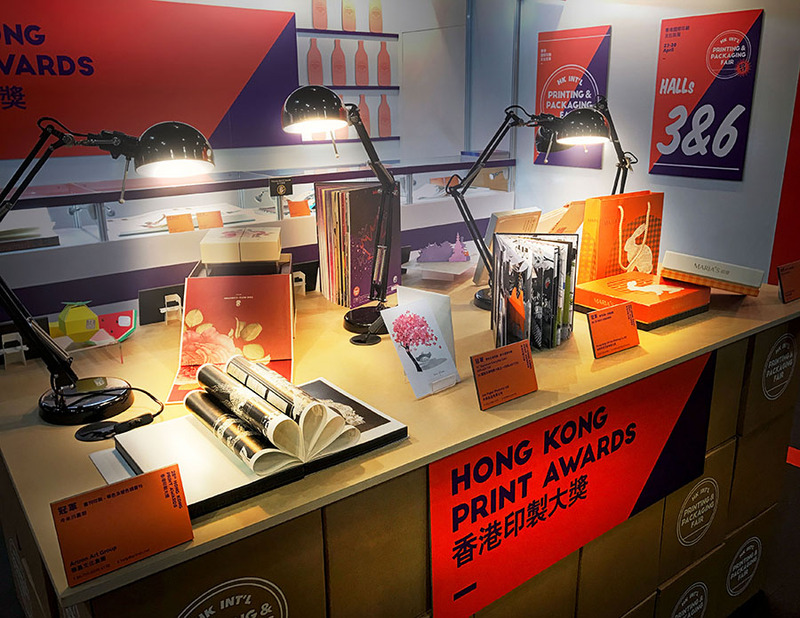 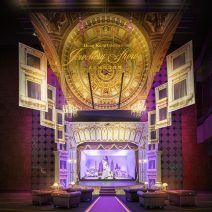 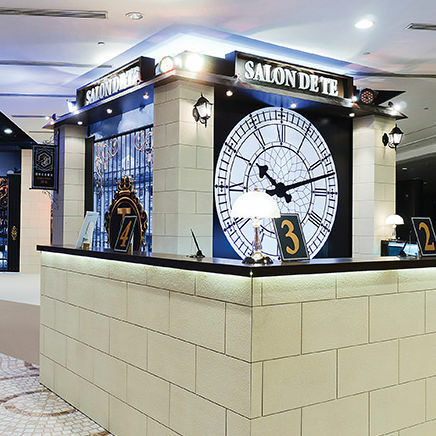 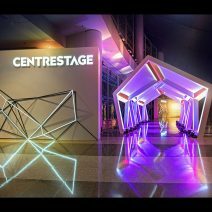 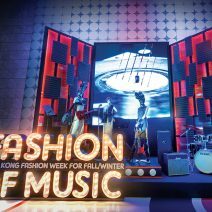 The areas included the registration counter, open forum, print awards and digital printing awards areas, along with a separate seminar space to seat 100 people. 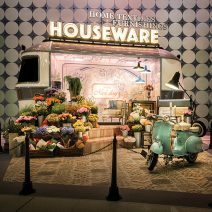 When we think of printing and packaging, one of the most obvious places to look is the supermarket, as such the design played on this notion. 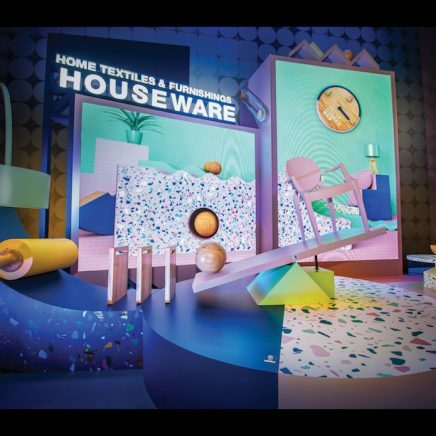 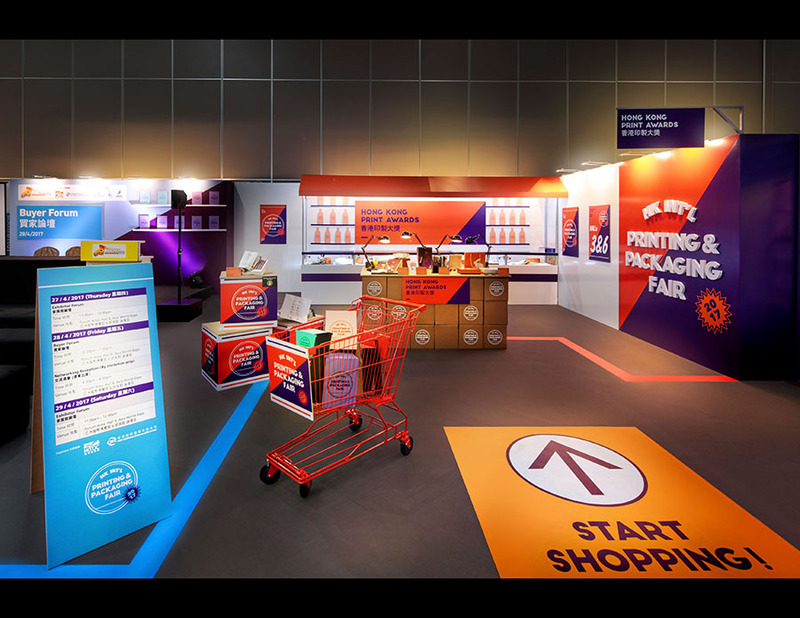 Using bold colours to differentiate each zone, our intention was to replicate a surreal supermarket environment under the theme of “Supermarket Therapy”. 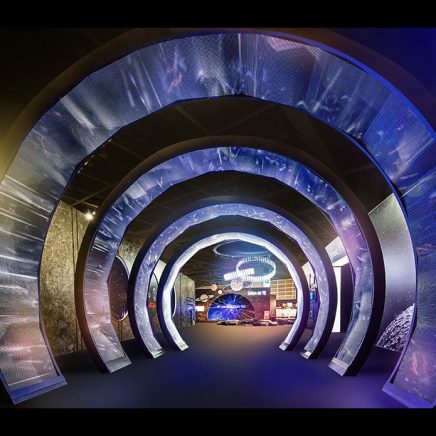 Due to the low budget, vinyl graphics and reusable exhibition structures were our main construction materials. 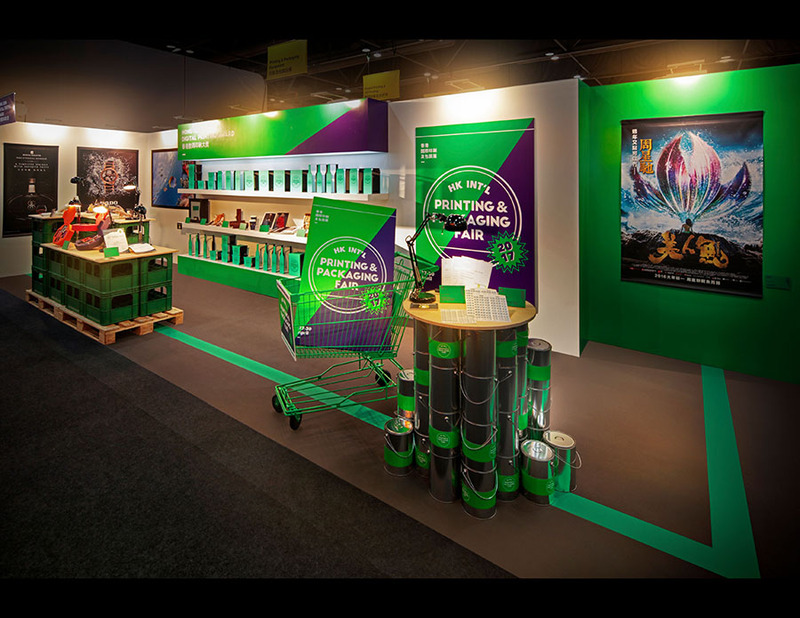 Supermarket trolleys, related visual merchandising and propping were quick solutions to meet the tight 3 day onsite setup. 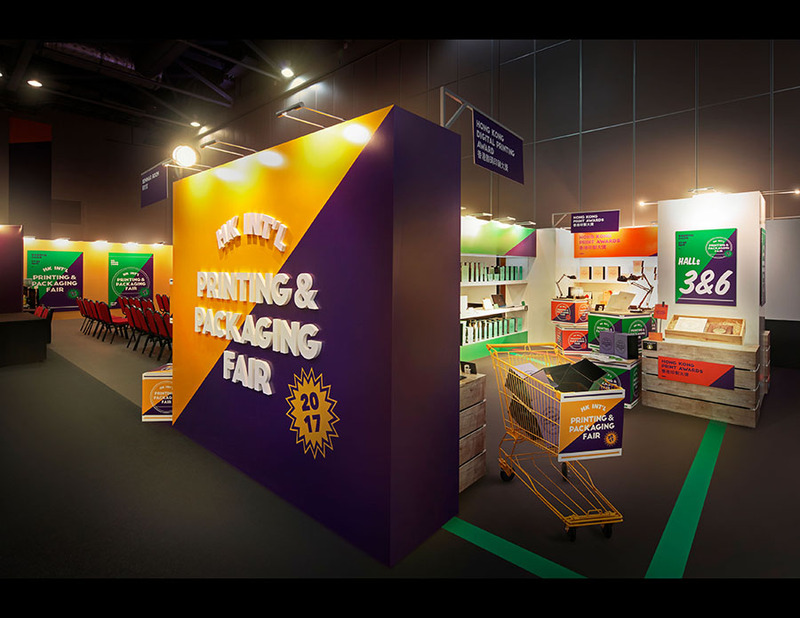 Starting at the registration counter, bold yellow and purple graphics were applied on the back wall to draw the visitors’ attention. 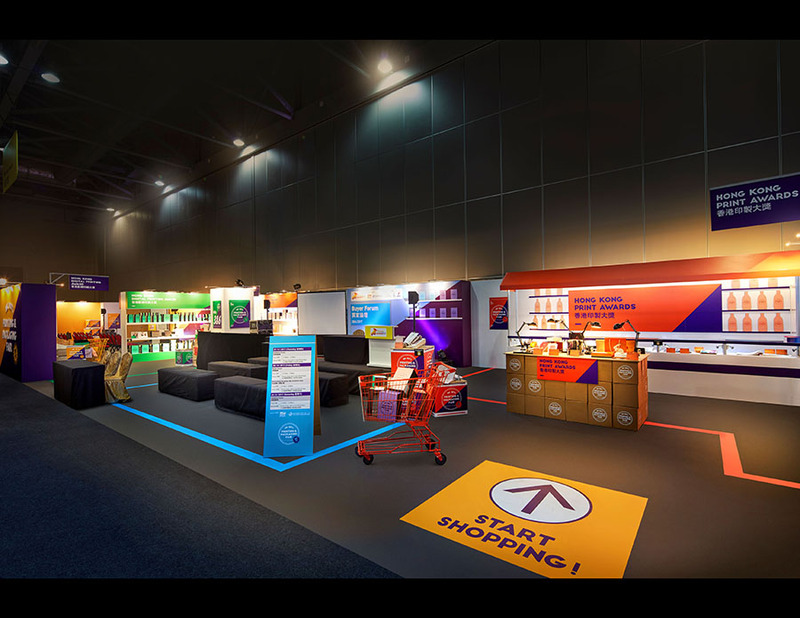 For the actual counter a mixture of different colour plastic boxes real and unreal (vinyl graphics), along with a shopping trolley composed the initial scene. 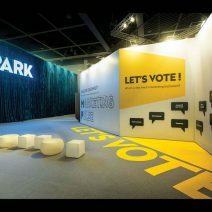 Inside the exhibition hall the organiser’s space covered an area of 1180sq ft. the print awards space was dressed as an orange colored meat and cheese section. 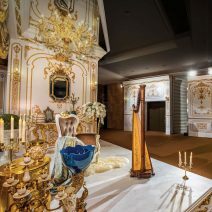 A mini open forum was allocated in blue color. 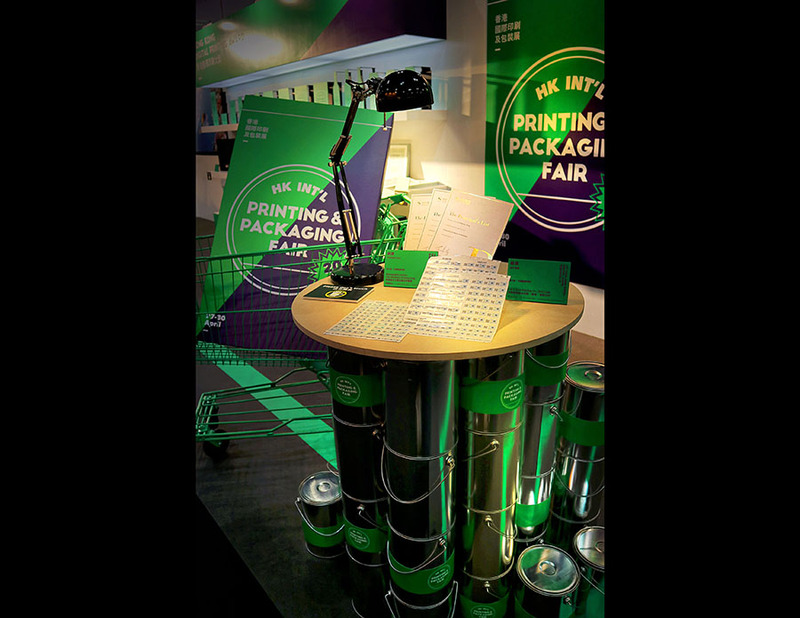 Green represented the digital printing awards zone. 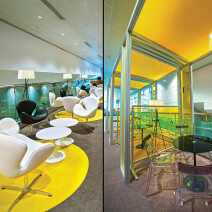 A separate semi enclosed area housed the seminar space. 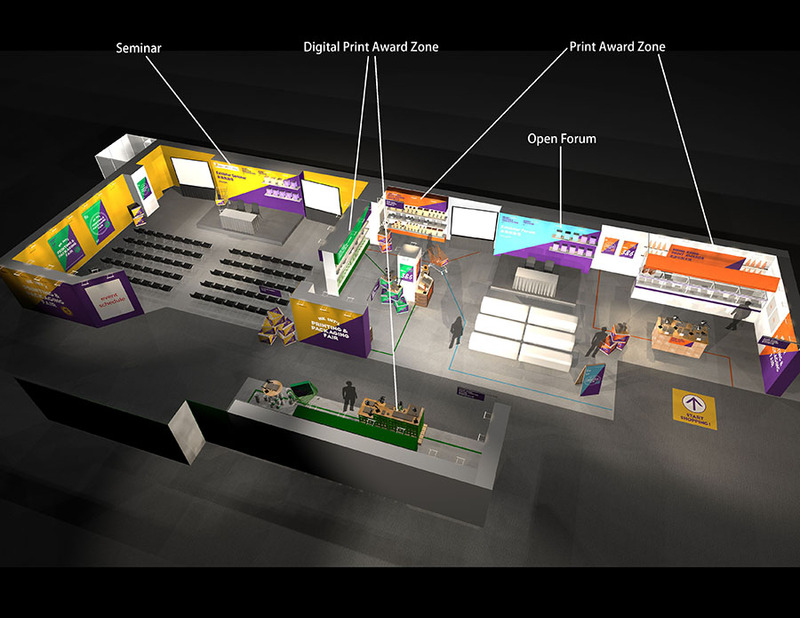 Again, bold yellow and purple colors are generously applied. 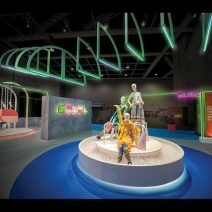 The design met the low budget and in the process created a unique spatial design experience for its visitors.